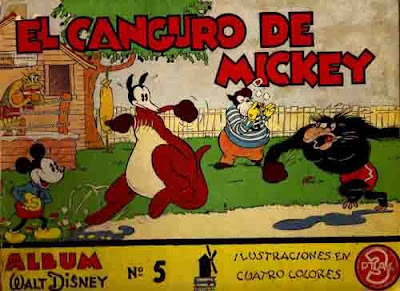 Thanks to cover scans recently uploaded to outducks archive by outducks contributor Carlos de Grigorio, I became aware of a series pre-war Disney comics albums from Spain: 5 albums put out in 1936 by publisher Molino. According to the inducks index, no. 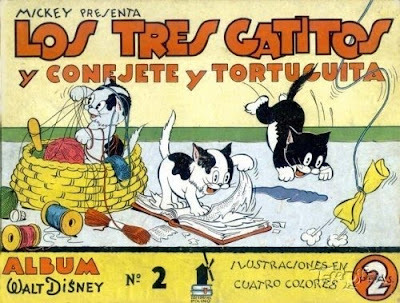 1 (above) features Spanish editions of 'Cookieland' and 'Robber Kitten', and no.2 (below) 'Three Little Kittens' and 'The Boarding-School Mystery', all from the Silly Symphony Sunday newspaper comics series. The precise contents of the remaining three albums are yet unknown (yet unindexed), but the covers of no.3 and no. 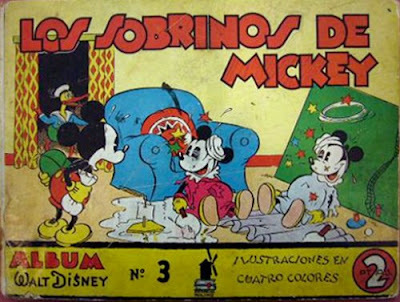 5 indicate that they feature Mickey Mouse Sunday newspaper comics. No. 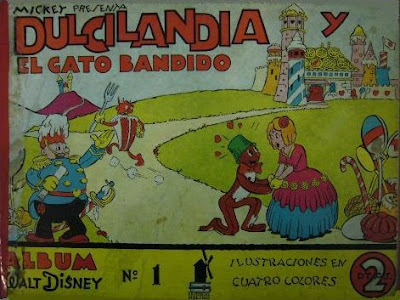 4, whose cover scan is unavailable, is titled as 'Donald y Mickey policias'.